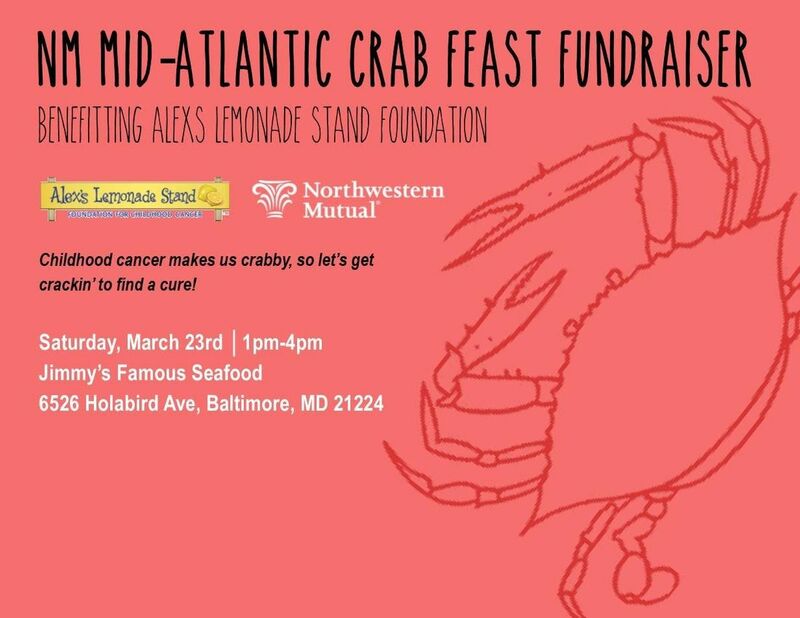 Childhood cancer makes us crabby, so let's get crackin' to find a cure! Please join us for this family-friendly event supporting Alex's Lemonade Stand Foundation. We will also have silent auction items present for bidding. Liquor is not included, but will be available for purchase at the bar. 100% of the proceeds from this event will be donated to ALSF - an amazing organization which is changing the lives of children with cancer by funding impactful research, raising awareness, supporting families and empowering everyone to help cure childhood cancer! Are there ID or minimum age requirements to enter the event?This is a family-friendly event open to guests of all ages! Children over the age of 2 will require a "kid's" ticket. You must have valid ID and be age 21+ to consume alcoholic beverages. Is there parking on-site at the event?There is plenty of free parking available at Jimmy's! How can I contact the organizer with any questions?Please email amFjcXVlbGluZSAhIGNhbWluaXRpIHwgbm0gISBjb20= if you have any questions about the event or the ticket options. What's the refund policy?Unfortunately we are not able to issue refunds, and all ticket sales are final. If you can no longer attend and would like to send someone else in your place, please email amFjcXVlbGluZSAhIGNhbWluaXRpIHwgbm0gISBjb20= so that we can update the name on your ticket. Do I have to bring my printed ticket to the event?You do not need a physical ticket to enter. Please bring your email confirmation and we will check you in at the door. Is it ok if the name on my ticket or registration doesn't match the person who attends?To avoid confusion, we ask that you let us know in advance if the name(s) on your tickets will not match the name(s) of the attendee. Are there discounts available for groups?We are selling tables of 10 at a discounted rate. Please email amFjcXVlbGluZSAhIGNhbWluaXRpIHwgbm0gISBjb20= if you're interested in learning more! 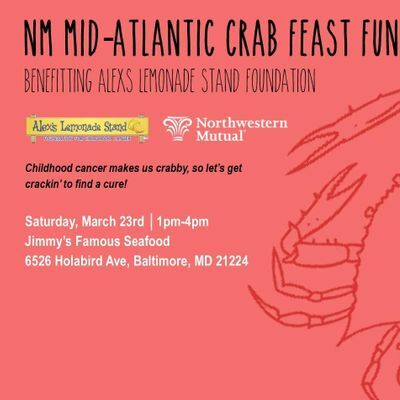 Crab Feast for Alexs Lemonade Stand Foundation!